A raw and forceful debut. Amanda is a rookie police officer. She has chosen this profession for very personal reasons: her sister’s suicide. Someone is responsible for her harrowing end and it is payback time. There are two men on top of her list: one a criminal and the other a police investigator. She is prepared to sacrifice everything in order to find the truth. Adnan has just served a prison sentence for serious drug offenses. Now he needs to earn some cash to pay his debts. But how? And at the same time he meets a girl who is quite extraordinary. But is she really who she claims to be? Magnus is a Detective Superintendent and often uses unorthodox methods in his ambition to clean up the streets. He has a weakness for women, but doesn’t want them on his team. But when a female trainee who is both sharp and attractive turns up, he considers making an exception. The fates of three very different characters are intricately and skillfully interwoven in an austere and fast-paced urban thriller. 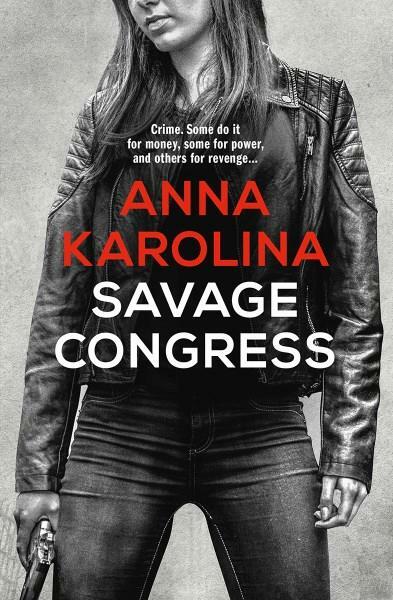 With fourteen years of experience from the police department in Sweden, Anna Karolina describes the police procedures and the criminal underworld with great authenticity. Anna Karolina lives in Malmö with her husband and two children. Anna has fourteen years of experience from the police department and the way she describes the police procedures and the criminal underworld are very authentic.